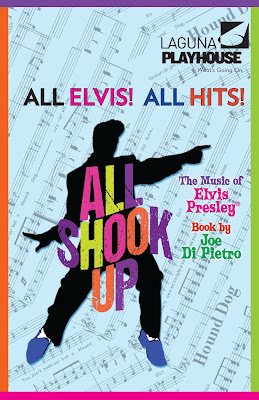 The first show in the Laguna Playhouse 2016-2017 season is the perfect family summertime, fun-time musical, All Shook Up. One girl’s dream and a surprise visit from a mysterious leather-jacketed, guitar-playing stranger help a small town to discover the magic of romance and the power of rock & roll in this all-Elvis musical, loosely based on William Shakespeare’s play Twelfth Nigh. All Shook Up will begin previews on Wednesday, July 6, and will open on Sunday, July 10 and will run through Sunday, August 7, 2016 at the Laguna Playhouse, 606 Laguna Canyon Road in Laguna Beach. For more information, check out: www.lagunaplayhouse.com.